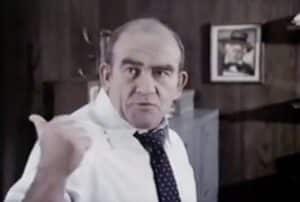 Lou Grant the character began life on the Mary Tyler Moore Show where he was the head of WJM-TV’s news department. 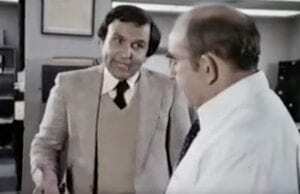 However, in that show’s final episode, Lou, along with many of the other characters, were fired from the station due to low ratings. But, in this fictional universe, Lou did well enough from himself. 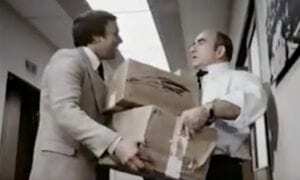 Leaving Minneapolis, Lou headed to Los Angeles where he became the city editor of the Los Angeles Tribune in the new series Lou Grant. There, he continued much the same as he had in Minneapolis, presenting a gruff exterior that hid a softer underbelly and a great deal of wisdom. 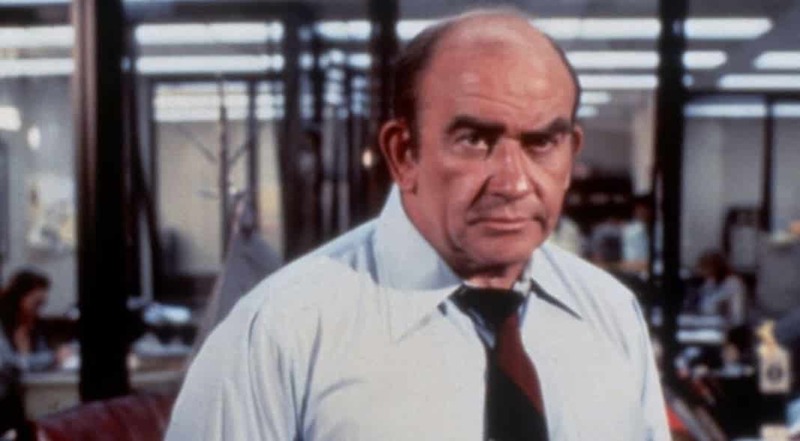 However, where the Mary Tyler Moore Show was a half-hour comedy, Lou Grant was a one-hour drama based around the newspaper. That gave the show a much heavier tone even though the two shows shared a lead character. And that heavier tone was in full force in the episode entitled Lou (Season 3 Episode 19). 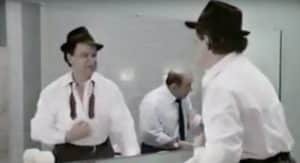 There, Lou and the Tribune were confronted with a plagiarizing reporter, one that quickly learned Lou’s bite is far worse than his bark. “Shouldn’t we at least ask him why he did it?” asks Art Donovan, the assistant city editor. “I don’t give a damn why he did it. He did it! He’s out!” Lou responds. These lines, along with a brief conversation about piling the reporters stuff outside the door, make up the first 20 seconds of the entire episode. However, while the scenes would be revisited, it wouldn’t be until much later, at roughly the 29 minute mark. 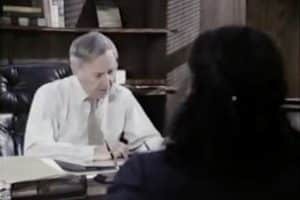 The plagiarism plot began as managing editor Charles Hume is interviewing a young woman looking for a job at the paper. She’s presenting a portfolio of her work editing the Stanford Daily, a college newspaper. Hume starts talking with her about a story involving disabled law students that was similar to one his paper had done recently. However, over the course of the exchange, it becomes very clear that the Tribune reporter, Sam Huntington, had stolen the story from the Stanford Daily, even lifting a key quote. Others try to dissuade him from his harsh approach, in particularly Billie Newman, one of the paper’s reporters. Lou initially remains resolute, but eventually agrees and begins gathering Sam’s things from the hall. However, as he’s doing so, Sam shows up setting up the confrontation between the two. Initially, Sam believes his stuff is in the hall because they were fixing his drawers but when Lou explains he knows about the Stanford Daily story, Sam becomes panicked. Sam went on to say that he was coming down with the flu at the time and assured Lou that he had never done anything like that before or since. Lou, initially seems moved by the explanation. He apologizes for having all of his belongings set outside and that it was wrong to not let him explain. Lou answers, “Yeah,” and walks away, bringing the plot to a close. As with a lot of these Plagiarism in Pop Culture episodes, the plagiarism itself is pretty simple. In this case, it can be summarized as this: Paper learns a reporter plagiarized, goes to brutally fire him and then decides to somewhat less brutally fire him. However, there’s a lot of context to understand both inside and outside this episode that put this story in real perspective. First off, within the episode another one of the many, many plot threads involves Jack Towne, the paper’s gossip columnist. Jack, who doesn’t work under Lou, is preparing to publish a piece accusing a local politician of having an affair with his secretary and then paying for her abortion. Lou is unconvinced the story is accurate and considers it libelous. Though the publisher initially stands behind Jack, when Lou’s team is able to prove that the story is false and plans to publish an article with the truth, the publisher pull Jack’s story. Jack, however, threatens to leave and take many thousands of the Tribune’s readers with him. Immediately after Lou has his confrontation with Sam, Lou finds out that Jack is not leaving the paper. Despite being so reckless with the facts to border on fabrication, Jack is neither quitting nor being fired, all because he is a gossip columnist with different standards and a major draw to the paper. It’s an interesting comparison how, with Sam, there was no real debate about whether he would be fired. With Jack, there was debate about whether to even pull the column. While it’s tempting to look at that through the prism of plagiarism vs fabrication (or gossip vs. hard news), it’s much more likely Sam was fired because he was expendable, much like CNN did with Marie-Louise Gumuchiansqcsuzbqcr, and Jack was spared because of his star power, much like how Benny Johnson keeps getting opportunity after opportunity. But then there’s the timing of the episode itself. The episode originally aired in February 1980, a full 18 years before Stephen Glass and 23 years before Jayson Blair. Though there were certainly scandals at that time, most notably Janet Cooke at the Washington Post who fabricated a Pulitzer Prize-winning story about a child heroin addict, it would be decades before plagiarism and fabrication would be really at the forefront of the conversation about journalism. 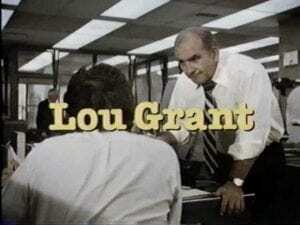 To that end, Lou Grant is a look at how plagiarism in the newsroom used to be handled: Sternly, but quickly and quietly. The internet has changed much of that, making this very basic tale about journalistic plagiarism a nostalgic trip far more than it is an educational one. While the show does wrap up the plagiarism storyline pretty tightly there are a few lingering questions left behind. First, will there be any further investigation into Sam’s writing? Lou mentioned a retraction of the article and decisively fired him, but there’s little mention of his other work beyond the fact it exists. Second, what of Sam’s future? The competition between the Tribune and the Times is hot during this episode with Jack threatening to jump ship. Is there a chance Sam could do the same? Finally, what plans, if any, do they have to prevent future plagiarists? The paper got ridiculously lucky on this one. 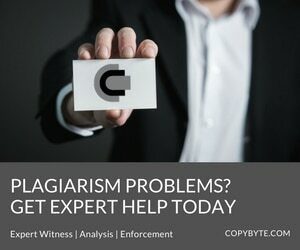 What’s to stop other plagiarists from getting away? While these are good questions, they really aren’t the focus of the show, in particular this episode. 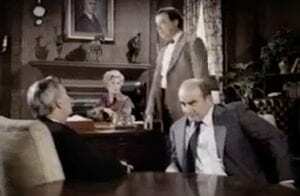 For Lou Grant, the story of Sam ended well enough and, looking back on it in 2017, it’s an interesting reflection on how plagiarism was previously handled and maybe some lessons on how to handle it in the future. It’s a simple story made complex through its framing and it comes with a sense of nostalgia for a much simpler time on plagiarism issues.